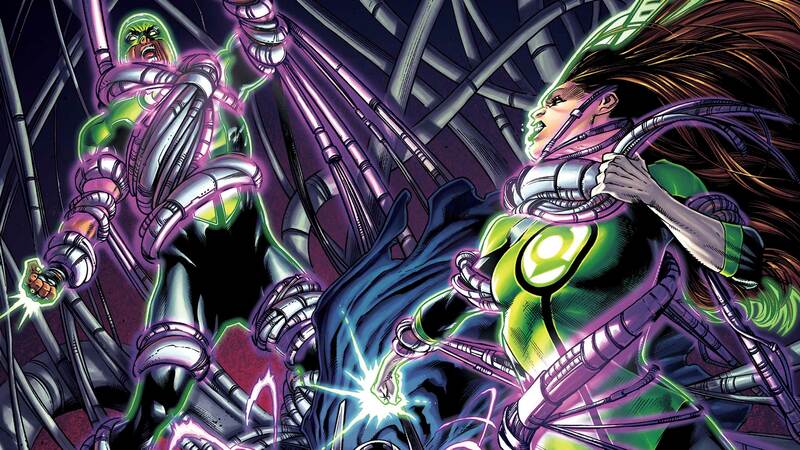 The Green Lanterns head to Gotham City to team up with Batman! Facing their fears, the team must bring down the Scarecrow and a new toxin. Then, the First Lantern returns, seeking his power back. Plus, Polaris strikes again! Collects issues #15-21.